Paul Turner is pastor of St. Anthony Parish in Kansas City, Missouri, and he holds a doctorate in sacred theology from Sant' Anselmo in Rome. He is a former president of the North American Academy of Liturgy and a member of Societas Liturgica and the Catholic Academy of Liturgy. He serves as a facilitator for the International Commission on English in the Liturgy. His publications include Glory in the Cross, Let Us Pray, and Whose Mass Is It? Why People Care So Much about the Catholic Liturgy published by Liturgical Press. He is a contributor to Give Us This Day. "Inseparable Love is recommended for all pastoral teams and theological libraries." "This book is a must-read for those who wish to seriously study and understand The Order of Celebrating Matrimony in all its intricate details. Pastors, deacons, catechists, liturgists, and musicians who prepare the engaged couple for the liturgy of marriage and prepare the liturgy for the worshiping community would benefit from this highly annotated and scholarly work. Fr. Turner leaves no stone unturned; he gives a thorough historical background to each and every paragraph of the OCM while at the same time providing a pastoral examination of present-day realities in the celebration of marriage." "Inseparable Love is Paul Turner at his best. Historical study is perfectly integrated into a theological account of the new translation of The Order of Celebrating Matrimony. The commentary on the various texts and rubrics are both pastorally and theologically rich. Even someone who has spent a lifetime studying the theology of the sacrament of marriage will discover something new in this volume. This in-depth commentary should be read by liturgical theologians, graduate students, those involved in marriage formation, and every member of the clergy." "Paul Turner is a sure and reliable commentator on the newly translated Order of Celebrating Matrimony. This paragraph-by-paragraph commentary is comprehensive, including in its view liturgy, history, translation, and custom. It is readable, pastorally useful, and delightfully interesting. Highly recommended." 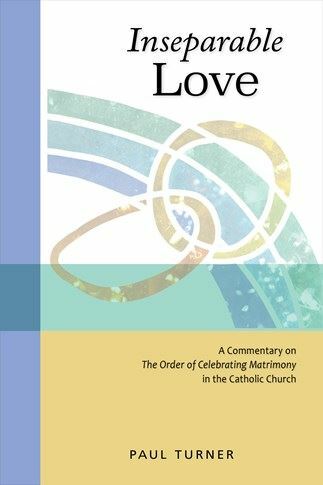 "Father Paul Turner provides an easy-to-read, comprehensive commentary on the recently released English translation of the Order of Celebrating Matrimony, 2nd edition. An indispensable resource that should find its way into every parish where couples are prepared for the Sacrament of Matrimony. It will prove to be of particular benefit to clergy and collaborating parish administrative professionals who are engaged regularly in marriage preparation." "Fr. Paul Turner's Inseparable Love is one of those rare books that is both scholarly and pastoral. For scholars he offers deep background on the reformed rites of marriage, particularly by making available the discussions and debates among the drafters of the reformed rites on various aspects of the theology and practice of Christian marriage. For those with pastoral responsibilities he offers a host of practical suggestions, born of years of experience, for carrying out the rites with fidelity and grace. This is a splendid and indispensable resource."